What is Root Canal Therapy in Weatherford? It may start off a just a slight twinge when you eat or drink hot or cold beverages or food. Nothing to worry about if it goes away, right? Next you may notice that the sensitivity is not going away as quickly, yet ibuprofen does the job. 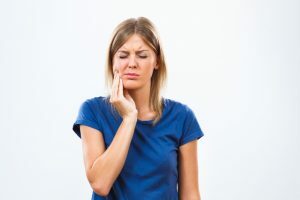 Before you know it, your tooth is waking you up during the night with severe pain, and your dentist is telling you that you need root canal therapy in Weatherford. How did this happen? A root canal is the most widely misunderstood dental procedure because patients associate it with pain. What most people don’t realize however, is that the root canal is actually alleviating your pain, not causing it. That’s right! It’s actually the dental infection causing your pain. During root canal therapy in Aledo, our doctors will remove the infected tissue from within your tooth through a small access hole in the top of it. Once the infection is cleaned out, they’ll seal your tooth with a temporary filling and allow it to heal. After the appropriate healing time has passed, they’ll restore your tooth with either a permanent dental filling or crown to strengthen it. When your tooth becomes injured, decayed, fractured, or infected beyond what a dental filling can repair, you’ll need root canal therapy to preserve your tooth. Being proactive about your oral health with regular cleaning appointments can help you avoid the decay that could cause an infection, because we screen for it at every checkup. Caught in its early stages, decay or cavities can typically be successfully managed with a less invasive dental filling. Once you’re suffering from a dental infection however, it’s important to note that it won’t go away on its own. So please contact us right away if you’re experiencing dental pain or sensitivity. If it’s left untreated, your infection may spread to other critical areas of the body such as your brain, and it could also cause tooth loss. At Cosmetic & Family Dentistry, Dr. Deborah Romack and Dr. Garrett Mulkey are here for you! We make every effort to see our emergency patients right away, and you can rest assured that we’ll do everything we can to make your experience as comfortable and stress-free as possible. We even offer nitrous oxide for our patients who feel fearful or anxious about dental treatment. Please don’t hesitate to call us if you’re experiencing dental pain! by: tntadmin at December 22, 2016 . Comments Off on What is Root Canal Therapy in Weatherford?